This e-newsletter is being published on www.aginukraine.com in support of the objectives of its Statement of Purpose (http://www.aginukraine.com/mission.htm ), to raise awareness of agricultural and farm/rural issues in Ukraine, and to provide a forum for practical information on a variety of topics such as farm, crop and livestock management, marketing, farm equipment, farm buildings, and resource information. This issue is dedicated to Pauline Stephaniuk (22-03-1922 to 03-03-2004). 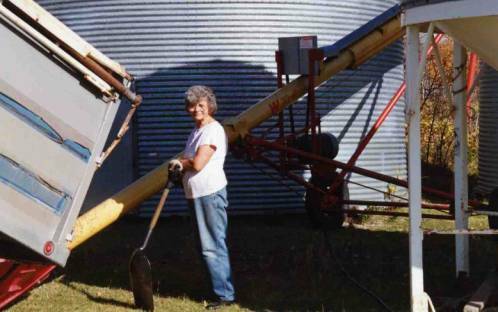 Pauline’s love for her family and the family farm way of life was exceeded only by her love for God, devotion to the Blessed Virgin Mary, and devotion to her Eastern Rite and traditions as a member of St. Michael’s Ukrainian (Greek) Catholic Parish, Wishart (farm), Saskatchewan, Canada. Pauline’s parents, Dmytro and Paraskevia (Sawchyn) Lalach came to Canada from the village of Kamin, Ivano-Frankivs’ka oblast. She met her future husband, William (14-01-1922 to 18-05-2000), before he went overseas with the Canadian Army in World War II. Pauline is survived by six of their seven children, 15 grandchildren and 4 great grandchildren. Mykola Maimeskul was appointed by Leonid Kuchma, President of Ukraine, as Ukraine’s ambassador to Canada. Ambassador Maimeskul was also appointed as Ukraine’s representative to the International Civil Aviation Organization http://www.icao.int/ (ICAO). Industrial and GDP growth in Ukraine for 2003. According to the State Statistics Committee of Ukraine, industrial production in Ukraine grew by 15.8 percent in 2003, including an annualized 18.4 percent in December. First Deputy Prime Minister Mykola Azarov indicated on 28 February 2003 that according to most recent calculations Ukraine's GDP grew by 9.3 percent year-on-year in 2003. Earlier the State Statistics Committee had reported that GDP grew by 8.5 percent in 2003. Clay Serby resigned On February 25, 2004 as Saskatchewan’s Minister of Agriculture due to health reasons. He has since his resignation undergone surgery for colon cancer. Mr. Serby did toward the end of April, 2004 return to the legislature but had not yet resumed his full functions and duties. Mr. Serby has been a strong supporter for closer ties in agriculture between Saskatchewan and Ukraine and a popular guest with visiting delegations from Ukraine. 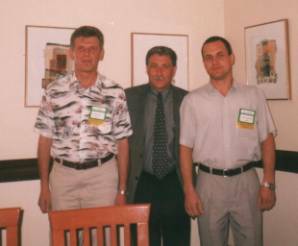 Clay Serby, center with 2 guests from Ukraine, Yuriy Halych and Valeriy Nozdrachov, from the firm UNIFEX UKRAINE, Kherson, Ukraine, June 2003 (photo UNIFEX UKRAINE). Aginukraine.com presents an online advertising listing service. What does it take to be chosen business of the year? The Yorkton Chamber of Commerce’s Celebrate Success Business Awards chose Harley Davidson of Yorkton as its Business of the year at the awards ceremony held March 11, 2004 at St. Mary’s Ukrainian Catholic Church Cultural Centre, Yorkton, Saskatchewan. Owners of the growing business, Rick and Carol Dawson, said the award comes after years of hard work and commitment by many people. “We’re in our 20th year of business and its been tough slugging,” he explained, saying at times his children posted pictures of him on the fridge to remember him by. Dawson recognized his staff for the hard work they have done saying “they give up a lot of things to keep our store going”. He further commented his business started out as a simple operation and has grown into a business that exports motorcycles into the United States. This success Dawson attributes to hard work by his employees, spending hours sharing different theories with them, and hours and hours discussing ideas with his wife. In addition, having more than a strictly business relationship with customers and “not going for the sale first” has made a difference. “I have customers who have been with me for the 20 years and I know they will be with me for quite a long time,” Dawson explains. “I think what has put us here is a lot of hard work and making sure the customer is number one”. - Women from Central, East Europe and CIS countries constitute 80 percent of trafficking in Germany. - Other large markets for the slave trade in Ukrainians include: Greece, Cyprus, Italy, Spain, Yugoslavia (Serbia and Montenegro including Kosovo), Bosnia and Herzegovina, Hungary, Czech Republic, Croatia, United Arab Emirates, Syria, China, Canada and Japan." - Accord special focus on the new front for traffickers in Central and East Europe. Read also The Natashas by Victor Malarek. Ukraine enjoyed record bumper crops of soybeans and sunflower seed in 2003. The 17% Sunflower seed export duty will not effectively thwart exports in 2003/2004. Exports of Sunflower seed oil and meal are expected to exceed the record levels achieved during the previous marketing year. The record soybean crop will reduce demand for imported soybean meal. MORE THAN 7.5 MILLION UKRAINIANS USE MOBILE PHONES. and exceeded 7.5 million, Interfax reported on 6 May, quoting official data from the country's mobile-communications operators. Morocco — The Ministry of Agriculture and Rural Development has reopened a call for tenders for the co-funding, construction and management of irrigation infrastructure to protect the citrus-producing area of El Guerdane. This project receives $71 million in public support from the Fonds de Developpement Economique et Social Hassan II (Hassan II Economic and Social Development Fund). This call for tenders is part of Morocco's new hydro-agricultural development policy, and thus represents an opportunity for operators to break into that country's irrigation sector. The closing date is July 31, 2004. Uzbekistan — The Republic of Uzbekistan is modernizing its railway and invites eligible companies to bid on a design-build tender for related telecommunications equipment. Bidding documents may be purchased by submitting a written application and upon payment of a non-refundable fee of $400, in addition to bank charges. The document will be sent by courier, if requested, at an additional cost of $80. The closing date is August 3, 2004. Uzbekistan — The Republic of Uzbekistan announced a public tender for the sale of 33% of the shares of Uzmetcombinat (Uzbek metal combine), a state joint-stock company in the Tashkent Region. Uzmetcombinat produces steel bearings and rolled iron, has been in operation since 1944 and is the only metallurgy factory in the Republic of Uzbekistan. Over one million shares of common stock are being offered and the bidding starts at approximately $68 million. 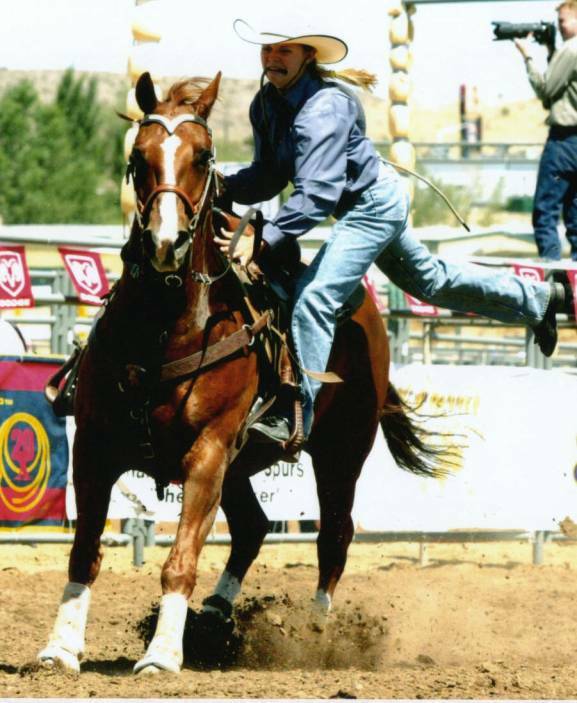 A tender package, which includes tender rules, a bid form and draft share purchase agreement, can be purchased. The closing date is June 28, 2004. Minneapolis, Minnesota — June 23-25, 2004 — The first annual Medical Alley MedEdge International Conference will bring together more than 1,000 industry professionals working at the frontiers of medical science. This conference will be held under the auspices of Medical Alley, an organization that promotes dialogue and synergy among all the diverse segments of the health care industry, in a region that has led the world in the development of medical knowledge. Advertise with Agriculture and Agri-industry in Ukraine and Aginukraine.com. Distribution of the newsletter Agriculture and Agri-industry in Ukraine is through a selected electronic database and online with www.aginukraine.com. Each issue of the electronic newsletter will be online with www.aginukraine.com for a minimum of 12 months. The extension (advisory) services organization, Dorada, and the Ukrainian company Alting are working to help rural habitants in Ukraine develop a profitable mushroom enterprise sector. They are developing, within the Programme of Mushroom Production Development in Ukraine called Hrybna Nyva, a complete enterprise sector from producers to processing and marketing, including exporting, of a high quality product. 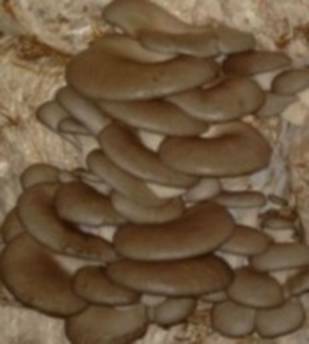 Currently plerotus ostreatus, champignons and shiitake mushrooms are being produced and sold variously as canned mushrooms, mushroom powder or fresh mushrooms. Truck load volumes for export can be achieved. when contacting advertisers,or indicate you read the news story in Agriculture and Agri-industry in Ukraine or online at www.aginukraine.com . 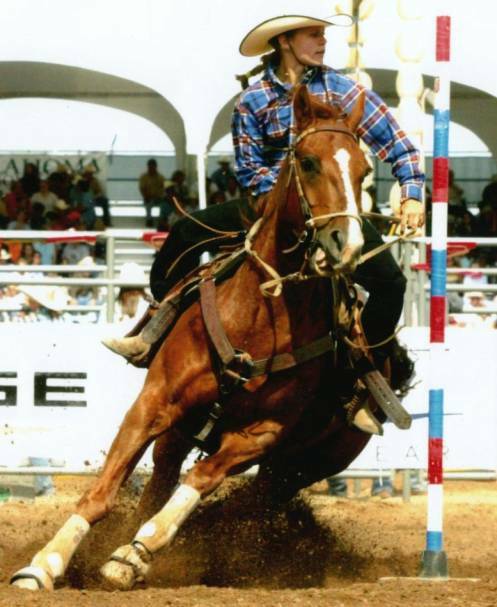 A 17 year old Canadian-Ukrainian rodeo performer at the National High School Finals Rodeo, Farmington New Mexico, 2002. Links to third party web-sites are provided for information purposes only and are not an endorsement of such web-sites. It is your responsibility to use such procedures and checks as are necessary for your protection, to verify the accuracy of the information accessed and to verify such site's policies on privacy and information collection. Material in this e-newsletter is provided for general information purposes only.